No Man's Sky on PC is on sale again for $24 (VIP price). Good time to join in as the next update in the summer will add VR to the game and the multiplayer is being revamped again. The average price for this game in the past 6 months is $25.51. The game first became 50% off on Apr 3, 2017 at Green Man Gaming. Lowest historic price was $18 on May 17, 2018 at Green Man Gaming. If you missed out on the previous deal on No Man's Sky, the game is available again for about 57% off this week thanks to the same Halloween sale offered up at various retailers. GMG matches Steam Store price of $30, but you can stack their 15% off coupon for additional savings. If you're unaware, the game is actually quite good these days thanks to the latest expansion. No Man's Sky is 60% off for a limited time at GMG. If you scroll through our mentions of this game through the years you can see how it went from the most hated hype title of all time, through periods of neutral and mixed improvements, to the recent redemption arc. At $24, it's a solid open world space exploration title. No joke. You gotta hand it to Hello Games. With all the infamous criticism from No Man's Sky back in 2016, they persevered and chugged on. The latest "NEXT" expansion adds tons of content and full multiplayer experience (seriously). Latest reviews sits at 84% positive on Steam Store (double serious). 50% off for a limited time on Steam Store and you can score an extra 10% off on GMG for the same Steam key. No Man's Sky gets a lot of bad rap, many of it deserved due to the over inflated hype surrounding the title but at it's core it's not a bad title. Especially at $18. New historic low for the Steam copy. Highly recommended to check latest user reviews before you fork over your cash. If you didn't know, people don't hate No Man's Sky now. Sort of anyways. The PC Steam digital copy has hit a new historic low price of $20.40 thanks to Black Friday sale at GMG. This beats out the previous low of $24 during Steam's Summer Sale. GameStop has the physical copy of No Man's Sky for the PS4 on sale for only $9.97. This is a great price for a title that has been updated significantly since release and is now a decent enough title to recommend. The average price for this game in the past 6 months is $13.55. The game first became 50% off on Nov 6, 2016 at NewEgg. Lowest historic price was $8.40 on Nov 22, 2017 at GameStop. YMMV but if you want to try your luck, your local Walmart may have No Man's Sky for the PS4 at only $10. Before you scoff at this deal, NMS is actually a pretty damn good game these days thanks to the continuous update and the latest NEXT expansion, adding breath of content, gameplay, and even multiplayer. Pre-owned copy of No Man's Sky is only $8.40 at GameStop. That's definitely a worthy price for the game. One can argue this should have been a $20 game in the first place. May go OOS fast. GameStop has used copies of No Man's Sky for the PlayStation 4 at a historic low of $10.91. 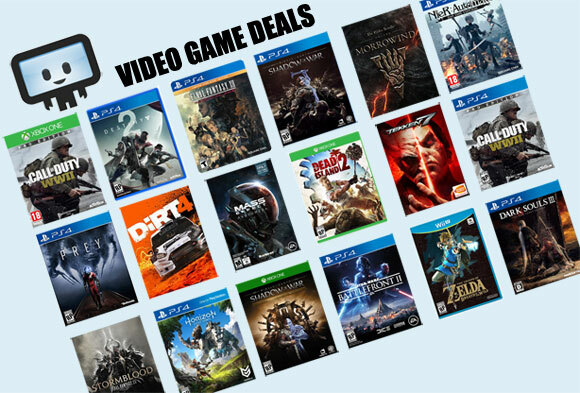 Looks like availability is large given this is part of GameStop's weekly ad. Prev low we've spotted was about $17 for a new copy from Amazon earlier this year. If you must have a new copy, we suspect most places will have it around $15 to $20 this holiday season. No Man's Sky PS4 digital game code $60... but a physical copy of the game only $17 at Amazon today. New low by over $3. No Man's Sky on the PS4 hitting rock bottom price this Cyber Monday with a drop to $20 at GameStop. Elsewhere a $25 - $60 purchase.